Africa’s premier green building event – the annual Green Building Council of South Africa (GBCSA) Convention – takes place next week with more than 600 property, architecture and sustainability professionals gathering in the Mother City. The convention, now in its seventh year, is the GBCSA’s flagship event and has major backing from the property finance division of leading green bank, Nedbank. Through the efforts of the GBCSA and sponsorship of Nedbank Corporate Property Finance, the convention has entrenched itself as one of the mainstay events on the global green building calendar. Cape Town International Convention Centre will be bustling with local and international delegates keen to hear the South African and global thought leaders who will be speaking about not just green building, but environmental sustainability in the built environment. “It’s time for Africa – bringing it home” is the theme this year, and the convention will zone in on developing sustainable buildings as an answer to Africa’s infrastructure challenges and as a response its growing and complex cities. “Africa has one of the highest urbanisation rates in the world, which puts pressure on the infrastructure of its cities and presents huge changes for city planners. Greener and more sustainable building in all sectors of the property industry is seen as one of the answers to help mitigating some of the risks to the environment and resources,” says Brian Wilkinson, CEO of the GBCSA. “It is estimated that at present, buildings contribute as much as one third of total global greenhouse gas emissions, therefore developing greener buildings in Africa is especially important in this crucial time in its development. Africa has to show leadership in green building and sustainable development. There has never been a more important time than now to bring home the benefits of green building in Africa. 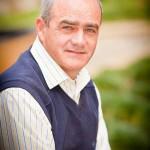 “The green building movement is gaining momentum on the continent. The convention aims to provide greater momentum to transform the built environment towards environmental sustainability on the African continent,” he adds. Noted media man, Chris Gibbons, will host this year’s GBCSA Convention and facilitate discussions and debate between the convention’s impressive line-up of local and international speakers. They include Sabin Basnyat of the International Finance Corporation; Peter Willis, Director of the SA office to the Cambridge institute for Sustainable Leadership; trend analyst Dion Chang; futurist, business strategist and entrepreneur Anton Musgrave; Mthatha-born scientist and innovator, Siyabulela Xuza; Vincent Truter, the man behind the bicycle initiative Cycology; Prof. Edgar Pieterse, South African Research Chair in Urban Policy and Director of the African Centre for Cities; conservationist and the head of the Do One Thing campaign, Braam Malherbe; architect Mick Pearce; Laura Cremer, Sustainability Manager for Interface, Europe; Peter Townsend, Managing Director of Know More; Solomon Wiza, Senior Manager South African rail parastatal Prasa; Brett Thompson, founder of Meat Free Monday SA; Colin Devenish of the V&A Waterfront; Chris Luebkeman, a Global Director at Arup; Carien Storm of property group Attacq; Lisa Reynolds, the Sustainability Director at Saint-Gobain; Jorge Chapa, Executive Director of Green Star at the GBCA; and, Daniel Claassen, Managing Director of FindaLift, amongst others. In addition to principal sponsors, Nedbank Corporate Property Finance, other sponsors of this year’s GBCSA Convention include International Finance Corporation, Standard Bank, Redefine Properties, RoyalHaskoningDHV, Growthpoint, PPC Cement and Old Mutual Property. 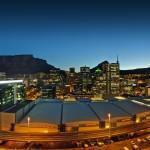 The GBCSA Convention will showcase the latest green building technologies and trends. The Council will also be making several major announcements during the convention, including the launch of the IPD/ GBCSA Sustainability Index; the GBCSA launch of the IFC EDGE residential rating tool; and, the launch of Green Star Africa.